Recently, while out on a walk a Midwife Haiku came to me. Often, when I am out walking my mind clears and snippets drift through my soul. The fresh air on my face and dirt beneath my feet seem to open doors for new thoughts to enter. Sometimes they are the start of an article, a story, a poem or just simple ramblings. This particular day, it was a Haiku. Since then, I have been mulling it over; counting syllables and tasting the flavors of various words and how they fit together. In this process, more words came to me and the result is this collection of haiku poems that I have put together to form a longer work. What is a Haiku? It is an ancient form of poetry from Japan. It follows a pattern of moras, or ‘word sounds’ that are similar to our syllables. The general guide is a pattern of 5-7-5: three lines, the first and third having 5 moras or syllables and the second having 7. It is a fun structure to play around in. Haiku poems traditionally focus on nature or natural phenomenon. In my opinion this is a perfect fit as pregnancy, labor and birth are absolutely natural phenomenon! You can check out my previous thoughts on the elemental aspect of birth here. 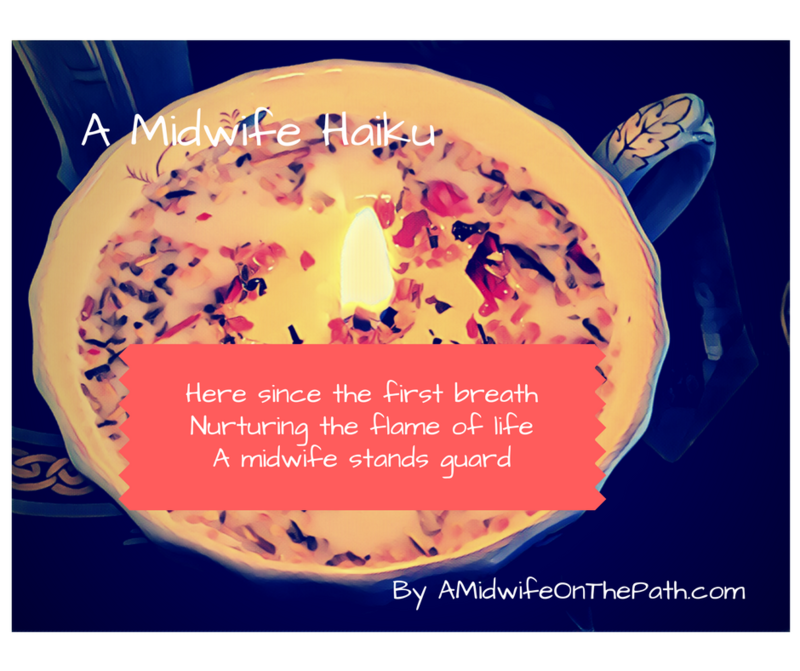 So, what are your thoughts on my Midwife Haiku? Have you ever played around with this poetry form? I would love to read some Haiku poems from you….